Dr. and Mrs. Kim Halladay are pleased to announce the marriage of their daughter Laurie to Clay Richards, son of Mr. and Mrs. Flint Richards. They will be married Dec. 15 in the Salt Lake LDS Temple. 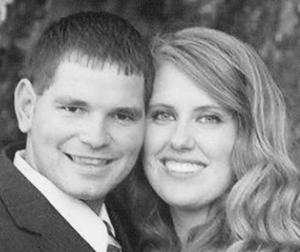 All friends and relatives are invited to attend the celebration of their marriage at a reception held in their honor that evening from 6 to 8 p.m. at the Stansbury Park South LDS Stake Center located at 240 Interlochen Lane in Stansbury Park.